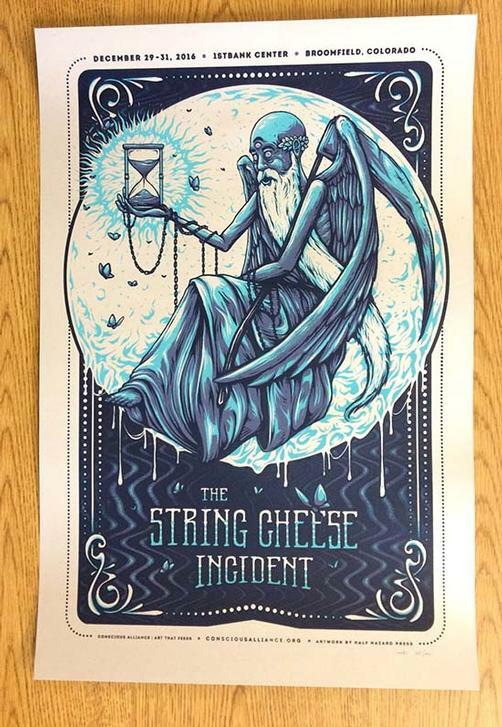 Original silkscreen concert poster for The String Cheese Incident at First Bank Center in Broomfield, CO for New Years in 2016. 16 x 24 inches. Signed and numbered 164/600 by the artist Joel Hunter.